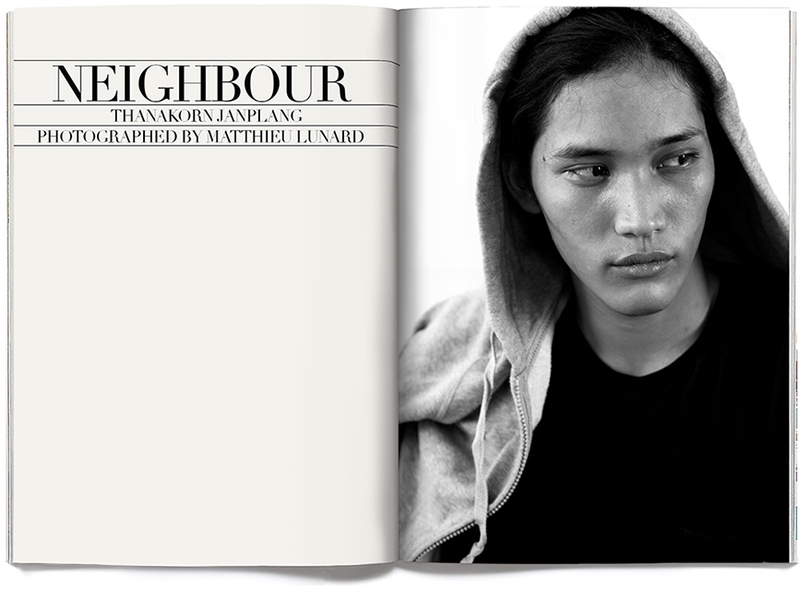 Neighbor,Thanakorn Janplang photographed by Matthieu Lunard. 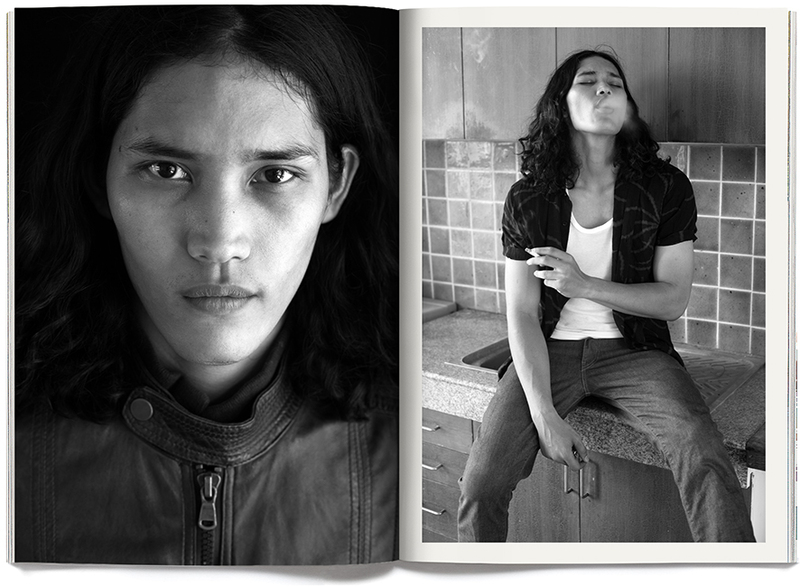 Born and bred Bangkokian, Thanakorn Janplang or Arm, is not only a model but a photographer, a recent film and acting graduate and Mozart enthusiast. Arm is focused on the future and is ready to make his wildest dreams come true. Wether it be in film, photography, modelling or acting. He draws inspiration and motivation from his idols; Pea Arak, Odagiri Joe, Ezar Miller, James McCoy and Jessie Eisenberg. Although, he is so focused he stays humble by remembering his past. Like spending time with his good friends and special moments with his family. Arm is dreaming of working in Japan, Iguazu and this fall he will be taking a much desired trip to Argentina. Arm models because he wants to share his creations with the world. He believes that photography is a great way to relay a single theme or message to a large audience.